Hip Hop! Meow! Look out! APIQWTC would like to invite you to celebrate the new year at our 24th Annual Spring Banquet!!! Come see old friends and make new ones. The food and performances are going to be fabulous!!! Our banquet has been a sold-out event for the last few years and space is limited, so please reserve your seats ASAP!! It’s the Year of the OXOXOXOXOX! 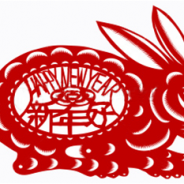 And APIQWTC is inviting you to join us for our 22nd Annual Lunar New Year / Spring Banquet!!! Come see old friends and make new ones. And, the food and performance is going to be fabulous!!! Our banquet has been a sold-out event for the last few years and space is limited, so reserve your seats ASAP !! YES, it’s the Year of the RAT! And APIQWTC’s lunar new year / spring banquet is on again. This is also our 21st Anniversary of our annual lunar new year banquet!!! Come see old friends and make new ones. And, the food is guaranteed to be fabulous!!! Space is limited, so reserve your seats now for this fun annual event!! YES, it’s the Year of the PIG! And APIQWTC’s lunar new year / spring banquet is on again. This is also our 20th Anniversary of our annual lunar new year banquet!!! Our guests last year loved the Legendary Palace, so we’re having this traditional banquet in Oakland again. Come see old friends and make new ones. And, the food is guaranteed to be fabulous!!! Space is limited, so reserve your seats now for this fun annual event!! 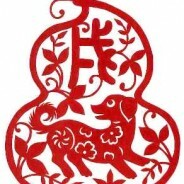 YES, it’s the Year of the Dog! And APIQWTC’s lunar new year / spring banquet is on again. Come see old friends and make new ones. And, the food is guaranteed to be fabulous!!! This year’s banquet entertainment is loaded with LOTS of FUN – Lion dance, JenRo’s rap singing, Q String Quatet, kids performance, comedy, award, dancing, raffle drawing, and more. Space is limited, so reserve your seats now for this fun annual event!!! 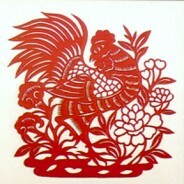 YES, it’s the Year of the Rooster! And APIQWTC’s lunar new year / spring banquet is on again. Hurry! 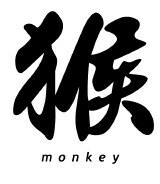 Our banquet is 9 days away… Please RSVP now to save your seats!YES, it’s the Year of the Monkey! And APIQWTC’s lunar new year banquet is on again. Come see old friends and make new ones. And, the food is guaranteed to be fabulous!! !Space is limited, so reserve your seats now for this annual event. 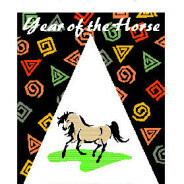 Tomorrow is the APIQWTC Lunar New Year Banquet! Reserve your seats now for the annual event, where over 200 queer Asian & Pacific Islander women and transgender people of the SF bay area will celebrate the Year of the Ram/Goat. It will be a lot of fun!! There will be a Secret Admirer message board, raffle prizes, good food (vegetarian included), performances by Starfruit, Rice Girls, and others, a free mug, and lots of beautiful people! Hope to see you there!! !